HSL website terms and conditions for use. Offers in Great Deals promotion cannot be used in conjunction with any discount offer or voucher. Offers valid until 30.04.19 or while fabric stocks last. 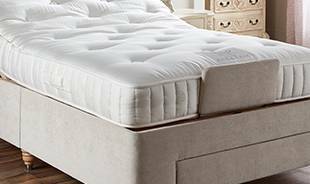 **Save up to £500 on beds: £300 off a 3ft bed when purchasing an adjustable bed, with any mattress and headboard. Cannot be used in conjunction with any other offer. 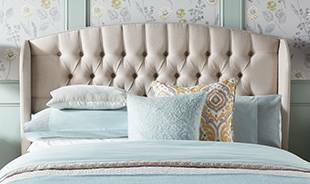 £400 off a 4ft bed when purchasing an adjustable bed, with any mattress and headboard. Cannot be used in conjunction with any other offer. 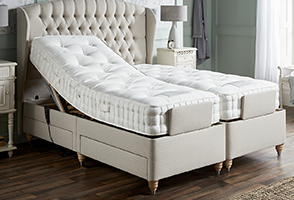 £500 off a 5ft bed when purchasing an adjustable bed, with any mattress and headboard . Cannot be used in conjunction with any other offer. 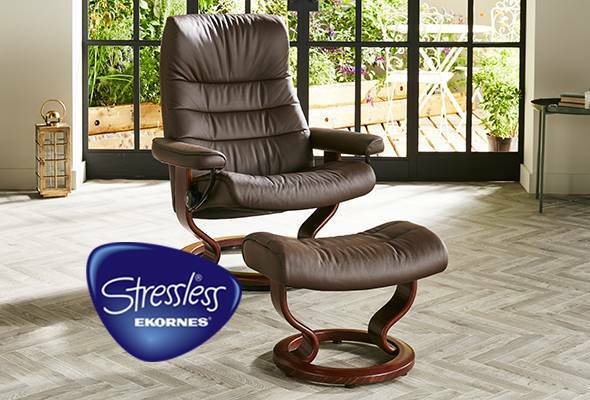 Stressless Base Upgrade – Cannot be used in conjunction with any money off vouchers, discounted or special offer product. Offer ends 30.04.19. When placing your order, we will take you through your selected products and services in detail, giving you all the information required, including operation, maintenance and care information. Details of all items, including fabrics, colours, size and fit will be thoroughly checked, verified and you will be asked for a signature to confirm the order. In giving this confirmation you agree that the order and its contents are correct and you are happy with your product. 30% cancellation or amendment fee applies. Although we understand the difficulties in checking access routes, (door sizes, corridors, etc. ), for installation of furniture, it is always your final responsibility to ensure that your furniture will fit into your home. If your order is placed in-store, once completed, your order forms part of a legally binding contract, which cannot be cancelled without charge which is 30% of the order value. Calls maybe recorded for training and monitoring purposes, these are deleted after 90 days. All lead times are approximate, slight delays of up to 21 days are not a reason for refund/compensation. Lead times are extended during the Christmas period. 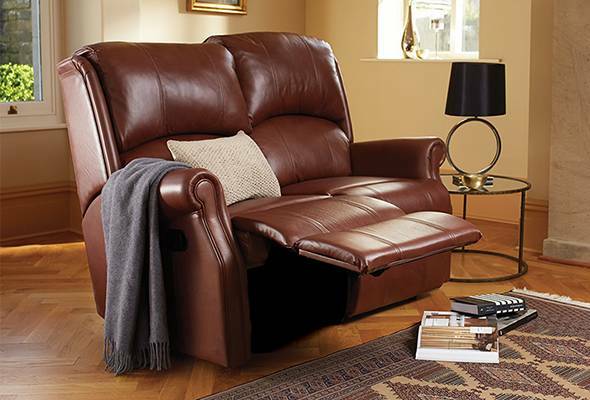 All products are made in the UK, other than swivel chairs. As a gesture of goodwill, HSL offers all in-store customers a 48 Hour Cooling Off period from the date your order is placed (excluding 2 day delivery service products) during which time an order maybe cancelled or amended without a cancellation fee, and any monies paid will be fully refunded. All products are manufactured to order, cancellation or amendment after 48 hours will incur a charge, detailed below in the “Cancellation” section, to cover costs incurred by HSL for processing, manufacturing and/or transportation. On 2 day delivery service products there is a cancellation fee of £100 or 10% whichever is greater for any 2 day product that is ready to be dispatched, but not yet in a customer’ home. After a period of time we reserve the right to amend the cancellation charge depending on circumstances. All prices shown are in sterling. Due to circumstances beyond our control, prices may have to be altered up or down, including any alterations to the rate of Value Added Tax. If you are chronically ill or disabled and the product(s) you are ordering are denoted ‘VAT free’, you may be eligible for the VAT free price. To qualify you MUST complete and sign the Eligibility Declaration on the rear of the order form supplied with this HSL catalogue (or downloaded from the HSL website). Please note there are penalties for making false declarations; if you are in any doubt as to whether you are eligible to receive goods or services zero-rated for VAT, you should consult H.M. Revenue & Customs Notice 701/7 VAT Reliefs for Disabled People or contact the VAT National Advice Service on 0300 123 1073 before signing the declaration. Payment methods include cash (in-store only and Home Visit), cheque, debit or credit card (Visa, MasterCard, American Express or Switch/Maestro). Payments can also be made electronically by bank transfer; details will be provided on request. Payment in full is required at the point of sale for all 2 day / Express delivery items, 7-14 day delivery service products, and orders of bespoke furniture ranges and clearance items. For all other products, a minimum deposit of 30%or £100 (whichever is the greater), is required, with the full balance being required no less than 2 weeks before the expected despatch date. If you are paying in-store by card, and where a partial payment is made as a deposit, a preauthorised final payment will be requested from your card so that the full outstanding balance can be automatically be charged to your card when your goods have been manufactured and are awaiting delivery. Where this is not possible we will contact you to take payment of your outstanding balance. All orders must be paid in full at least 2 weeks before expected despatch date and goods will remain the property of HSL until such a time as payment has been made in full. Please allow for longer delivery times during Easter, Spring Bank and Christmas periods due to factory holidays. 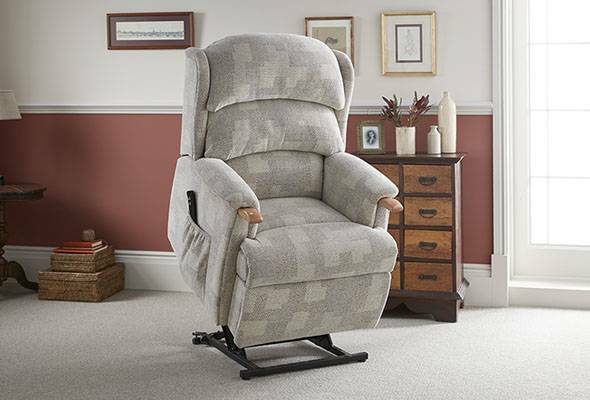 On the day of delivery, it is your responsibility to ensure that the delivery team can gain easy access to the room that the furniture is going into and that the area you want the furniture placed in is cleared. Unfortunately, we cannot give specific time slots, however you will be advised or offered an AM or PM time slot. On a 2-man delivery service, the delivery team will unpack your furniture, install it in the room of your choice and, if you wish, will remove all packing materials from your home and recycle packaging wherever possible. To make sure you are completely satisfied with your items, the delivery team will ask you to sign for receipt of your furniture after it has been installed. We can only deliver to an address within UK mainland. Transportation overseas is at customer sown expense. Goods must be inspected in the UK. Claims will not be considered once transported from the UK mainland. 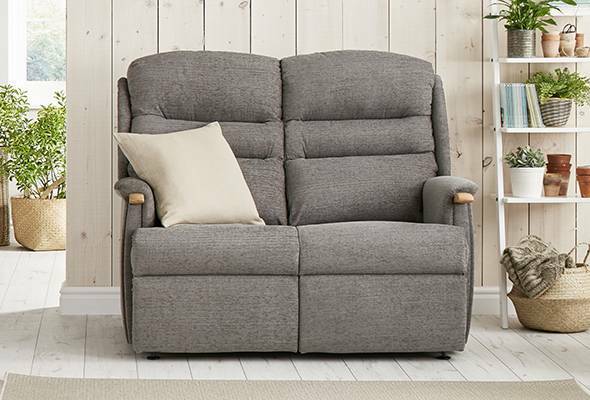 Upon delivery of your new HSL furniture, any old furniture, on a like-for-like basis, can be taken away and, where possible, will be recycled for a £60 disposal charge. This service is hassle-free and Eco-friendly. 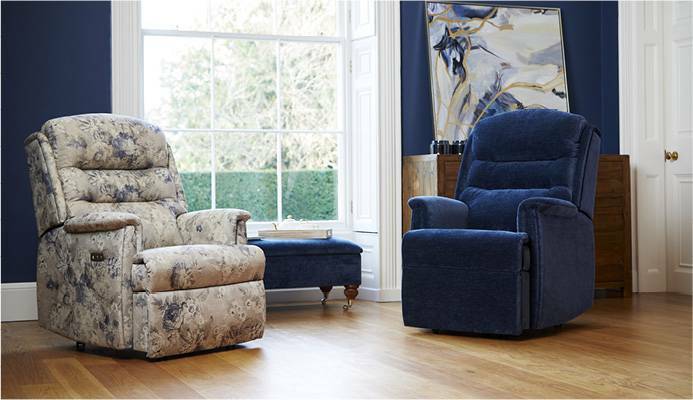 Should your product be ordered on an Express 2 day delivery, collection of your old furniture will be arranged for a later date after the delivery. Please note that the responsible disposal service is available in Mainland UK only. 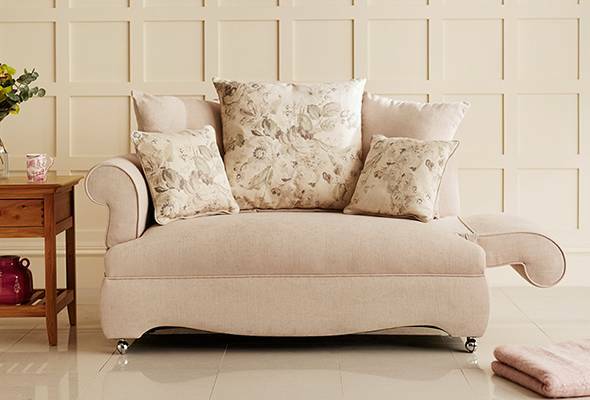 The following applies only to orders of standard furniture ranges placed by mail order, telephone or Home Visit. Orders considered to fall under the Information, Cancellation and Additional Charges (ICAC regulations), i.e. distance sales contracts, are subject to a 14 day return or exchange right. Where the 14th day falls on a Saturday, Sunday or Bank Holiday the final day shall be deemed to be the following working day. The cancellation form is available as a printable PDF from the HSL website, in the HSL catalogue, or by request to a member of HSL staff in-store. Cancellation can be made over the phone to Customer Care Team. Tel: 01924 486902 This period is to give you the opportunity to inspect the goods and correct any wrong choices that may have been made. Until returned to HSL, the furniture remains under your ownership and it will be your responsibility to maintain and protect it from damage, keeping it in “as new” condition. Failure to return goods in perfect condition may entitle HSL to make in a claim for damages. The following applies only to orders placed online, by post, Home Visit or over the telephone, and for items not purchased in one of our retail stores. Orders considered to fall under the distance selling regulations are subject to a 14 day return or exchange right. This must be requested in writing or by telephone to the customer service department in the period immediately following the day of delivery. The HSL cancellation form is available as a printable PDF from the HSL website, as an insert in the HSL catalogue, or by request to a member of HSL staff. Without having the benefit of visiting one of our stores prior to purchase, this period is to give the customer the opportunity to inspect the goods and correct any wrong choices that may have been made. As such, it is not a period where they can make normal use of that furniture and impact its condition. Until returned, the furniture is under the customer’s ownership and it will be their responsibility to maintain and protect it, keeping it in “as new” condition. All labels including fire label must remain intact. Failure to return goods in perfect condition may result in additional charges. You have the legal right to cancel your order within 14 days of receiving your goods. All items returned must be in a perfect condition and there will be a collection fee of £60 to return any goods to us. Normal usage is usage of the furniture in line with what would be expected to try in store. 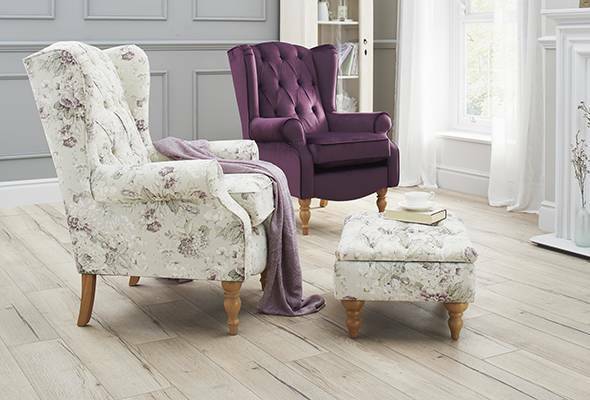 We recommend you look after your furniture according to the care instructions provided. 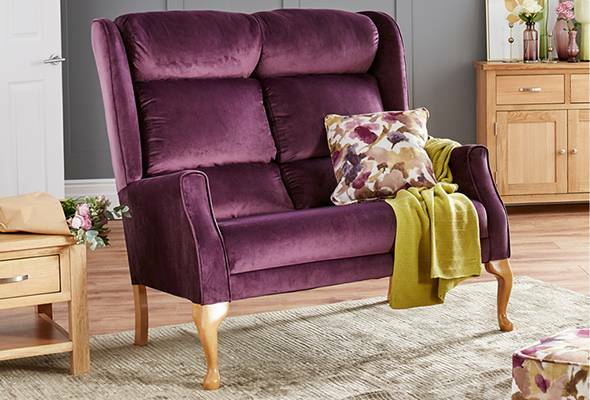 Since the furniture is manufactured to order, cancellation or amendment more than 48 hours after an in-store order is placed will incur a cancellation charge of 30% of order value (or £100if greater) for standard furniture ranges and 100%of order value for bespoke furniture ranges. Cancellations and returns of in-store orders after delivery will only be accepted on the grounds of product fault or damage arising pre-delivery. Where orders of standard furniture ranges are cancelled under distance sales regulations, the cancellation charge will not be applied. Please refer to the “Distance Selling” section for further information around processes and costs associated or call 01924 486902 for cancellations. In the event you need to cancel a purchase pre delivery due to the death of a customer, we will only charge a 30% cancellation fee of the order value that is held on account and can be used on a future purchase within 12 months. Alternatively a loss of 30% of the deposit will be charged. For hygiene reasons all bedding is non-returnable with the exception of any manufacturing faults. All bedding must be returned in original packaging. 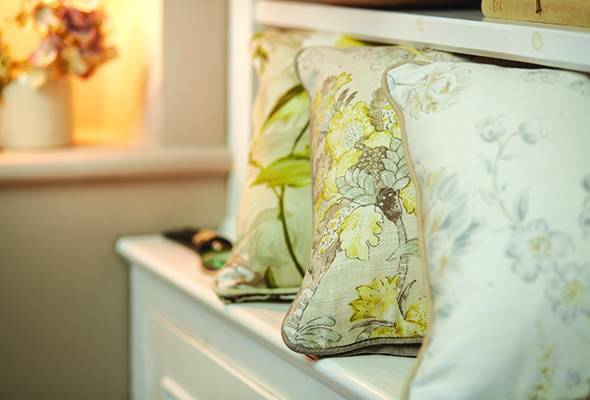 On occasions our customers may require us to store their furniture for a short time following manufacture. We can in exceptional circumstances arrange this for you, charge is payable for this service. Full payment for all goods must be paid on completion of manufacture in line with our standard terms & conditions. In order to place an order on hold full payment must be made. A minimum of 14 days must be given for products to be dispatched from hold and delivered. Should you receive goods that are faulty or damaged you are entitled to full refund or replacement up to 30 days from date of receipt. Please note that HSL reserves the right to examine the goods to confirm damage and establish fault prior to agreement to refund or replacement. On the day of delivery, you will be asked to sign to confirm receipt of goods in full. We reserve the right to deduct the usage fee for items over 6 months old. If you wish to make a claim outside the guarantee period set out below, you can contact us to discuss options for repair or replacement of your goods or call 01924 486902. HSL is committed to ensuring that everything we sell is of the highest quality. 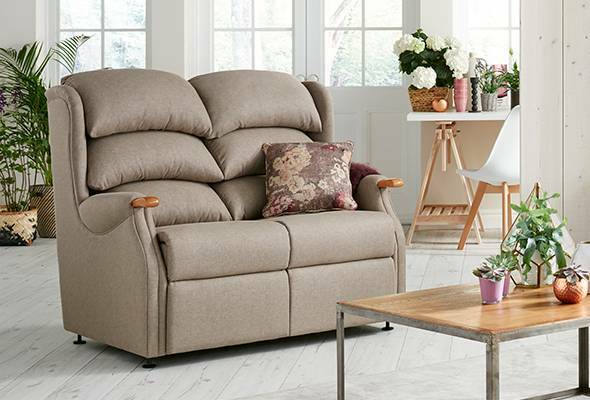 However, for your peace of mind, we offer a 25 year frame guarantee on a large selection of our furniture, this excludes our swivel range, other exclusions apply, please ask in-store for details. 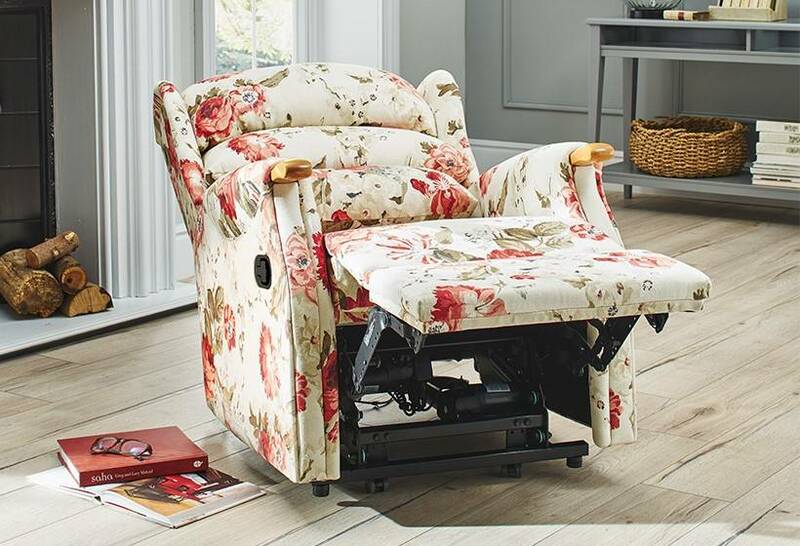 This guarantee is extended on all electrically-adjustable chairs to also cover the motorized mechanism and handset for 5 years. 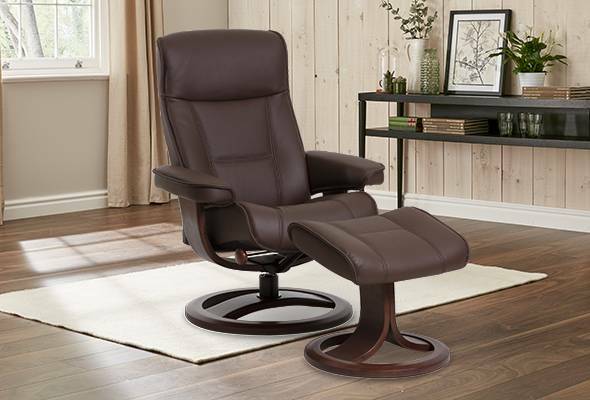 The mechanism on Stressless swivel chairs is guaranteed for 10 years. On chequered and floral patterns we only guarantee front facing pattern match. All pile fabrics, including chenille are subject to a degree of pile crush. This is not a fabric or manufacturing fault, nor will it detract from the wearing properties of the material. 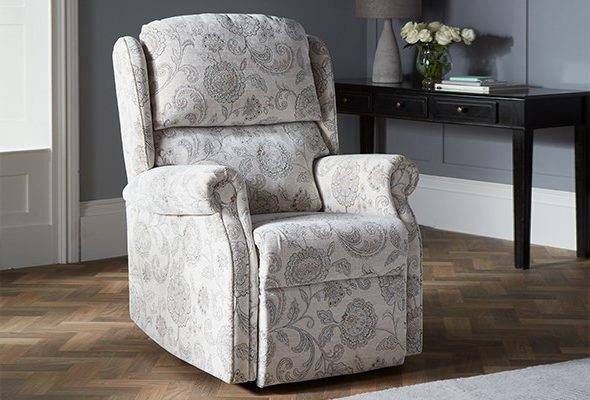 Other swivel chairs and all other parts of our furniture ranges including foam and fabric are covered by a 1 year guarantee. Any claims for sizing issues must be reported within 1 month from delivery. 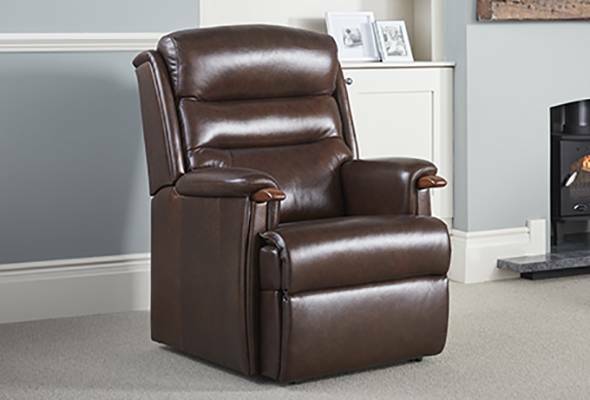 For any showroom ex-display stock, factory outlet stock, clearance items or other goods notified as such, our guarantee will cover only the mechanical movement and motor for an electrically adjustable chair for a 1 year period. HSL will honour all repairs free of charge within the guarantee period. In the event that a repair is not possible we will offer a like-for-like exchange, or partial refund. Your guarantee starts from the date of delivery and offers cover against manufacturing defects on the construction of the frame and frame springs. 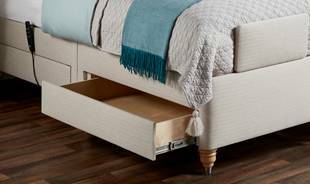 It also covers your items against any defects which may arise through faulty factory workmanship, including recliner and bed mechanisms. Products bought with Guardsman Stain Protection are also protected for 5 years against everyday spills and stains (for more details, please see instore or contact Guardsman direct on 01235 444747). Please note, your guarantee does not cover normal wear and tear. It is important to note that we often find that damage can be avoided by correct care and maintenance. Our guarantee excludes instances where damage is as a result of lack of care, insufficient daily maintenance, incorrect cleaning, and change of specification by the customer or usage outside of the manufacturer’s guidelines. 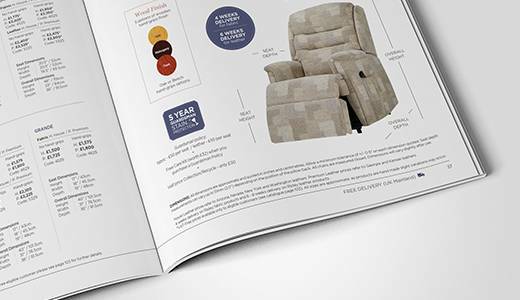 A Care Guide for your furniture will be provided at point of sale. This guarantee applies to Mainland UK only. Nothing within this guarantee will affect your statutory rights. In the event of a dispute, upon provision of proof of purchase we will provide information on how to raise an issue for review by the alternative dispute resolution service of the Furniture Ombudsman. Nothing in these terms shall limit or exclude in any way our liability for death or personal injury caused by our negligence or the negligence of our employees, agents or suppliers, fraud or fraudulent misrepresentation, any breach of the obligations implied by law or any other matter for which it would be illegal or unlawful for us to exclude or attempt to exclude our liability. Subject to the above, we shall not be responsible for any losses that you suffer as a result of our failure to comply with the contract between us, except for those losses which are a foreseeable consequence of that failure and which are limited to the purchase price of the goods you have purchased. We shall not be liable under or in connection with the contract between us for loss of income or revenue (including but not limited to wages), loss of business, loss of anticipated savings, or loss of data (in each case whether the loss is direct, indirect or consequential). However nothing in this paragraph shall prevent claims for damage to your physical property, excluding the cost of repairing any pre-existing faults or damage to your property that we discover in the course of delivery. We shall not be liable to you or responsible for losses or damage incurred by you which arise as a result of you providing to us incorrect measurements, plans, specifications, choices or details, or failure by you to take account of the features, size and shape of the space in which you wish to place the goods. All our items are suitable for general domestic use only. If you are planning to use them for business purposes please make sure you are covered by the appropriate insurance. Where you decide to use the products in the course of a business, we exclude (to the fullest extent permitted by law) those warranties and conditions relating to fitness for a particular purpose. Our maximum liability to business users, arising out of, or in connection with, the products shall be limited to the replacement value of the product in question (except in the case of death or personal injury caused by our negligence or in respect of fraud). In relation to business users, we do not accept liability for the fitness of goods for business purposes, nor do we accept liability for neither loss of use of the item nor any loss over and above the cost of the item in the event of a claim for breach of warranty or condition. For commercial use, we do not accept any responsibility or liability for safety standards or compliance unless you have requested, in writing furniture for use in that environment and we have supplied relevant safety certification. We will not be liable or responsible for any failure to perform, or delay in performance of, any of our obligations under our contract with you that is caused by events outside our reasonable control (“Force Majeure Event”). A Force Majeure Event includes any act, event, non-occurrence, omission or accident beyond our reasonable control and includes, in particular(without limitation), failure of energy sources or transport network, acts of God, war, terrorism, riot, civil commotion, interference by civil or military authorities, national or international calamity, armed conflict, malicious damage, breakdown of plant or machinery, nuclear, chemical or biological contamination, sonic boom, explosions, collapse of building structures, fires, floods, storms, earthquakes, loss at sea, epidemics or similar=events, natural disasters or extreme adverse weather conditions, or default of suppliers or subcontractors. Our obligations under the contract between us are suspended for the period that the Force Majeure Event continues, and we will have an extension of time to perform these obligations for the duration of that period. We will take reasonable steps to bring the Force Majeure event to a close or to find a solution by which our obligations under these. Terms can be performed despite the Force Majeure Event. Whilst every care is taken to ensure the information in this publication is correct, no legal responsibility can be accepted for any inaccuracy. The company reserves the right to alter or modify the information contained herein at any time in light of technical or other developments. The parties to the contract are HSL and you, the customer placing an order with us. You may not assign or sub-contract any of your rights or obligations under these terms and conditions or any related order for products to any third party. No. 916661. VAT Registration. No. 123 3727.